Perform complete HART device configuration using your PC. Uses the device DD so all device parameters are accessible, including Methods. Perform complete HART device configuration using your Android Mobile Device. Uses the HART device DD so all device parameters are accessible, including Methods. Perform complete HART device configuration using your iOS Mobile Device. Uses the HART device DD so all device parameters are accessible, including Methods. Small and lightweight, ideal for mobile and desktop applications. Electrically isolated for enhanced safety and performance. Increase safety and productivity with wireless advantages. For use with Windows software and Android Apps. Increase safety and productivity with wireless advantages. For use with Windows software and Android Apps. Safe for hazardous areas. Increase safety and productivity with wireless advantages. For use with Windows software. Safe for hazardous areas. Smart Communicator PC. Includes DevCom2000 software and HM-USB-ISO modem. Smart Communicator Power. Includes DevCom2000 software and HM-USB-PWR modem. Smart Communicator Android. Includes DevComDroid software and HM-BT-BAT-ER Bluetooth modem. Smart Communicator Tablet. Includes DevCom2000 software, HM-BT-BAT-ER modem, and Tablet PC. Smart Communicator Tablet, Rugged. Includes DevCom2000 Software, HM-BT-BAT-ER modem, and Tablet PC. Smart Communicator Tablet for Class 1, Div 2 Hazardous Areas. Includes DevCom2000 Software, Bluetooth modem, and Windows Tablet. Smart Communicator Tablet for Android, 8 inch Screen. Includes DevComDroid App, HM-BT-BAT-ER Bluetooth modem, and Android tablet. Smart Communicator Tablet for Class 1, Div 1 Hazardous Areas. Includes DevComDroid App, Bluetooth modem, and Android tablet. Smart Communicator Tablet for Class 1, Div 2 Hazardous Areas. Includes DevComDroid App, Bluetooth modem, and Android Tablet. Same as the HM-USB-ISO, but with Banana Plugs for the HART connection. Same as the HM-BT-BAT-ER, but with banana plugs for the HART connection. Design, develop, and test the DD (Device Description), and then register the DD with the FieldComm Group. Complete HART 7 protocol stack for HART slave devices. Keep your sofware and DD Library current with the latest features. Included free with first year warranty. Bluetooth 2.0 USB Adapter, Class 1. Custom Cable Length Option for HM-USB-ISO and HM-BT-BAT-ER. Features four different Banana Jack connector types. Designed for use with BP (Banana Plug) option modems. 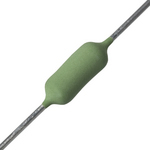 250 Ohm HART Loop Resistor for HART Communications.